The mobile units of hazardous waste plasma disposal PLAZARIUM MGS are designed for plasma gasification and disposal of hazardous waste with total-degree destruction and production of pollution-free syngas (СО + Н2). (disposal of medical waste, biological waste, paint-and-varnish "liquid" waste, waste of water conditioning, wastewater treatment and water use, liquid waste of purification plants, coal gasification, refuse wood and domestic waste gasification). Industrial plasma torches and power supplies are designed to create a high-temperature plasma jet of large volume and heat power. They can be used for any plasma gasification and hazardous waste elimination reactors to produce clean syngas, as well as for afterburners to clean the gas from impurities and other applications. Industrial plasma torches are made with a capacity of 30 to 350kW and more. The bulk temperature of the heated steam (flare zone) is more than 5,000°C. PLAZARIUM MPS mobile plasma pyrolysis units intended for thermal degradation (pyrolysis) of carbonaceous waste to produce synthetic liquid fuel, carbonaceous residue and hydrocarbon gas, followed by rectification of liquid synthetic fuel into gasoline and diesel fractions, hydrocarbon gas and distillation residue into heavy hydrocarbon fraction, with further processing of heavy hydrocarbon fraction in plasma cracking unit to obtain a mixture of gasoline and diesel fractions and hydrocarbon gas. Possible raw materials for processing are oil slimes, plastics, tires, biomass, and municipal solid waste; removal of organic contaminants from the surface of pipes and various metal structures. Expansion of business relationship scope in the development of new plasma engineering and technologies, production, supplies of materials and high tech services, training of specialists is a recipe for success and business development. The phenomenon of plasma has been known for more than 100 years but its capabilities are still underutilized. Discover and apply in your practice the advantages of plasma technologies with respect to plasma gasification, plasma melting and plasma cracking with PLAZARIUM! Any shortcoming can be corrected with the full restoration of the products’ functionality. We service and repair the units for plasma gasification, plasma hydrocracking and plasma systems throughout the whole period of their economically feasible operation. We ensure a rapid supply of spare parts and consumables for the equipment produced. With us, the use of plasma technologies will be a pleasure! We will help you to get accustomed to the sphere which is new for you (if, for instance, plasma gasification, plasma melting or plasma hydrocracking is nor familiar to you) and gain an insight into the specificities of our products. 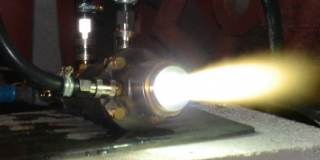 We will explain and show you what is plasma gasification, melting and plasma cracking, how our steam plasma torches as parts of industrial plasma systems work and help to cope with breakdowns. With us, plasma technology is easy and straightforward!